The Teseo III multi-constellation receiver combines high accuracy with fast response time and low power consumption. 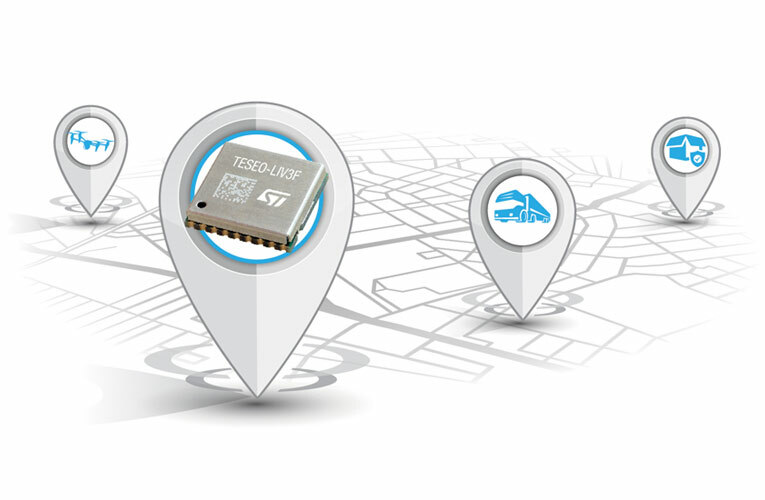 The Teseo-LIV3F module now enables makers and small engineering teams without extensive in-house RF expertise to leverage the Teseo III advantages in creating new products in the industrial and consumer market segments like vehicle trackers, drones, anti-theft devices, pet locators, and systems for services such as fleet-management, tolling, vehicle sharing, or public transportation. While simplifying application development, Teseo-LIV3F delivers high performance, including -163dBm tracking sensitivity and 1.5m positioning accuracy and low-power operation (17µW in standby mode and 75mW when tracking). FCC and CE certifications streamline product testing and accelerates time to market.